It’s that time of year again; the lonely will feel lonelier, the coupled should might start to wonder why they don’t celebrate their love more often than a day a year. Also, flowers. Lots of flowers will be cut and if I could, I’d organize a field trip to the city dump sometime around February 21st… just to see how it looks under a blanket of flowers. I know, I’m such a romantic! …Watching every episode of “Downtown Abbey” and pretending I am Mary Crawley. …With a bottle of wine and my cat. I’m not bitter. …A nice dinner with the love of my life, my mom! …Chocolates, Roses and Champagne. Sharing it with the woman I love. …Fantasizing about a future romantic Valentine’s Day. …A gift exchange at a quiet dinner. Driving home the long way, holding hands in the dark. Getting home and cuddling on the couch with an old movie. …Romance to me: Wine and “Mortal Kombat”. …Cuddling with my dog, then shopping, then a good book and some tea. Forever alone. …Watching “Back to the Future”!!! …In a bubble bath, with wine and a good book– alone. I’m not bitter either. …Some Marvin Gaye and Chardonnay. …At an animal shelter, giving love to all the animals. …I’m going to spend it with my 14-year old daughter. Take her on a “date”, pull out her chair, open her door, tell her she’s beautiful. …Writing my husband a poem for each year we’ve been married. …I plan to stay in bed all day. …Mountaintop. Guitar. Brownies. His voice. …Making up songs, singing them. Dancing. Being quiet and still. Not fighting. Remembering how it could be. 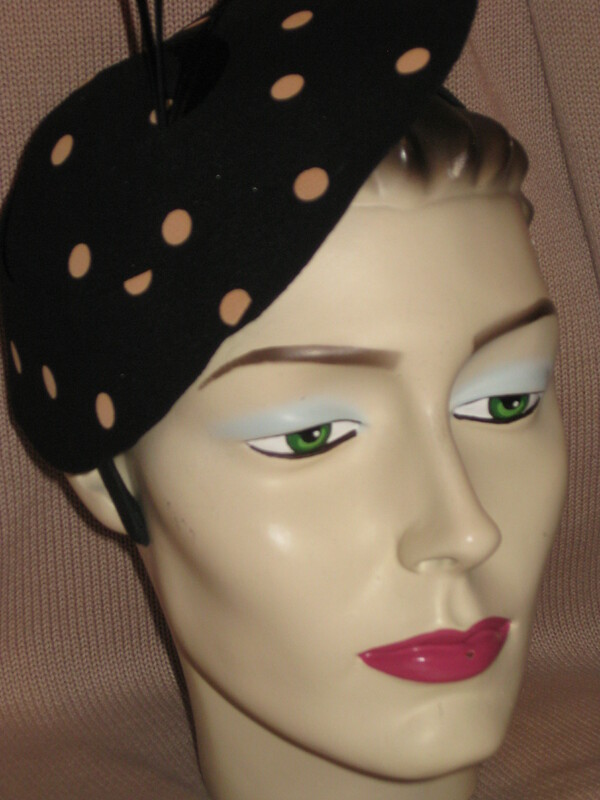 Photo above: Chic, hand-stitched, Parisian headband. One of a kind… and we have many different kinds. I’ll be spending Valentine’s Day prancing around with one of these on!